With a week in France on the way we were packing a few card games and books to pass the evenings when the children were in bed when Ian decided to pack a brand new Wasgij Original puzzle that we had received for review. Wasgij, from Jumbo Game, have launched their first ever 1500 piece puzzle and we decided that this would be our holiday challenge! For those unfamiliar with Wasgij Puzzles (the name is Jigsaw spelled backwards) they are the UK's leading brand of adult puzzles. They aren't your traditional puzzle though as, instead of replicating the image on the front of the box, this is a suggestion of the jigsaw puzzle image and only hints at the puzzle you will build. The Wasgij range features six different collections - Original, Mystery, Destiny, What If...?, Christmas and Licensed. 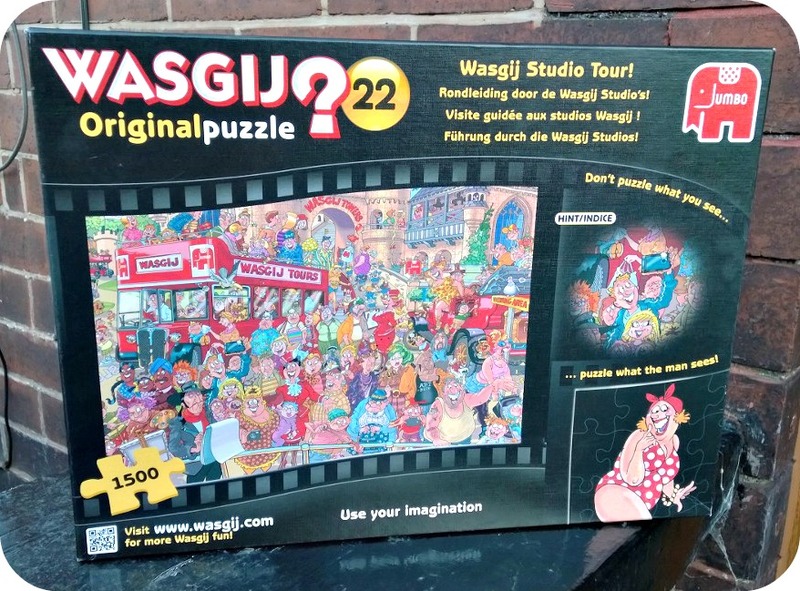 Studio Tour is the 22nd Wasgij puzzle and features the opening of the Wasgij Studio tourist attraction. The box shows a huge crowd observing something, but what are they looking at? Completing the puzzle will show you. The pieces are really good quality pressed cardboard and stood up to many evenings of puzzling. The image below shows the average size. The completed puzzle measures approximately 90 by 60 centimetres. 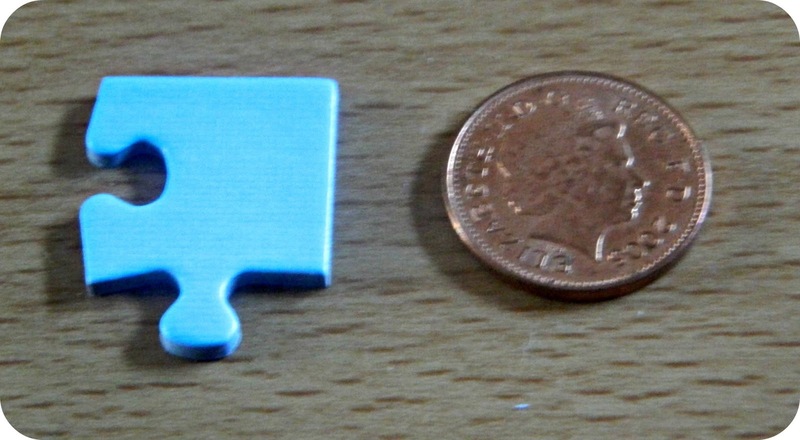 If you are going to have to put your puzzle away during completion I would suggest getting a puzzle saver as it's too large to easily move on it's own. 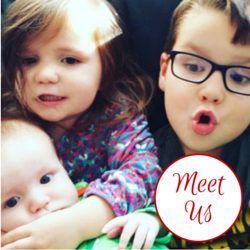 We covered ours with a sheet of cardboard to keep it away from small hands! The puzzle is well drawn and brightly coloured. It reminded me a little of the saucy seaside postcards that people used to send. 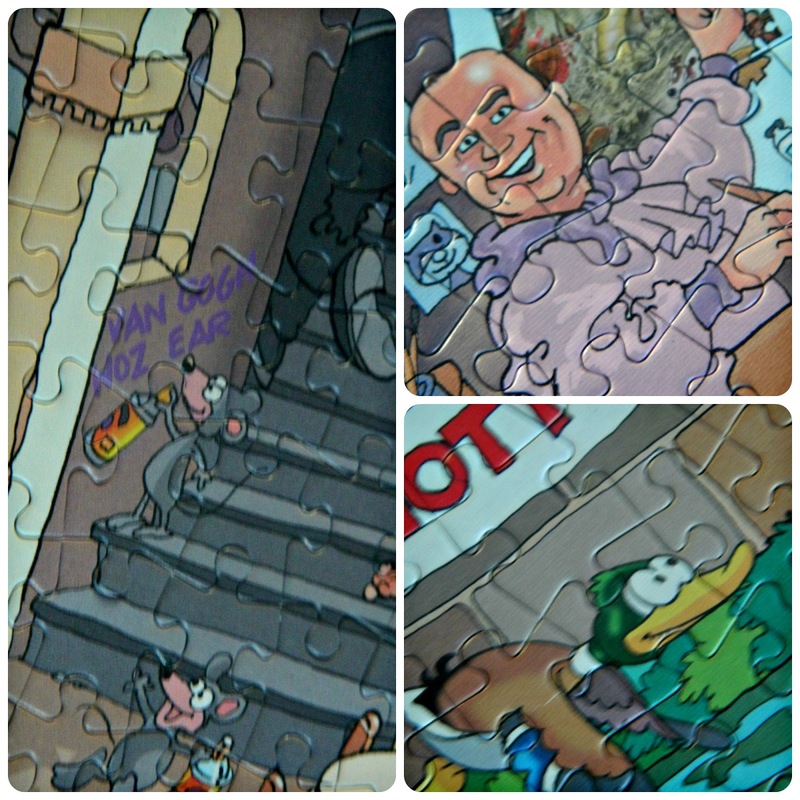 The picture is a lot of fun with masses of tiny details that come through as you assemble the puzzle. We spent four consecutive evenings completing the puzzle, I would say around 12 hours in total with two adults working on it. It was a challenge that we both enjoyed and a fun and different approach to the traditional jigsaw puzzle. I've never undertaken a Wasgij puzzle before and we did find it a real challenge to try and work out what went where and how the picture would build. It was funny to puzzle out the different sections of the image and there were many surprises when we realised how pieces connected. So many times saw us finally placing a small completed section somewhere completely different to where we thought it would go! So to the completed puzzle. Well, I'm not going to show you that! I don't want to give it away. I will share a few sections with you to offer a few hints. I definitely think it's worth attempting without them though! Wasgij Original 22 Studio Tour has an RRP of £14:99 which I think is excellent value for money for the excellent challenge it represents. It is available from Amazon and all usual retailers. To find out more about the complete Wasgij range, for puzzle clues and to download the free Wasgij app visit Wasgij UK. Disclosure: We received this item for review purposes, this does not change any opinions offered within the post.